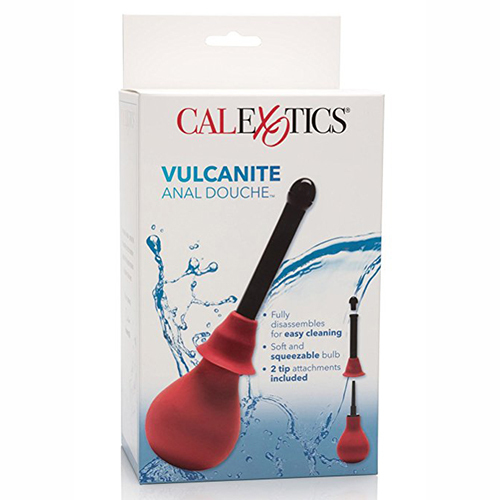 The Vulcanite Mount has a soft and pliable base, a sturdy 4in shaft and a detachable screw-mount flow head. The Bulb Probe has a soft, flexible vacuum bulb with a 3in probe. Before physical insertion, place the Vulcanite Mount over the Bulb Probe. Submerge the tip of the Mount in the fluid of choice while compressing the Bulb. Allow the bulb to completely fill with fluid by relaxing the pressure on the Bulb. Once full, insert into the area to be douched and repeat as needed. Please use water-soluble lubricant on the Mount for ease of penetration and comfort. Now you're all cleaned and ready to go!